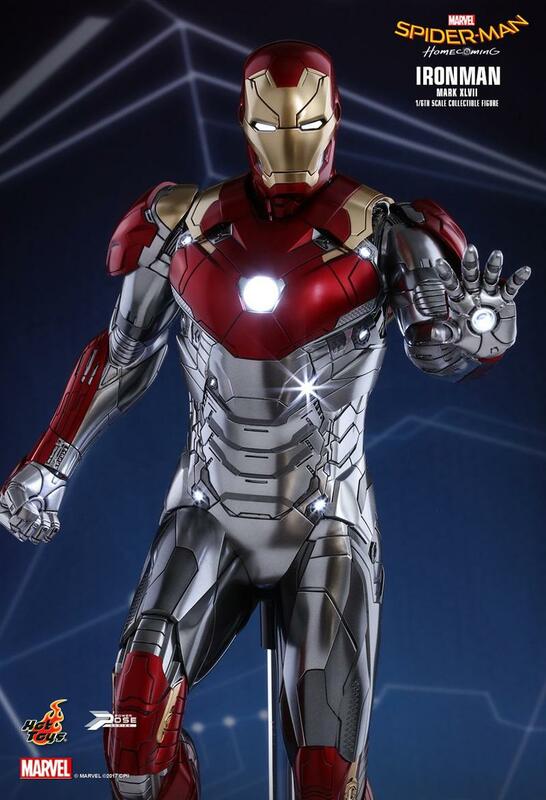 Since his onscreen debut in 2008, Iron Man’s armor has gone through a number of iterations. 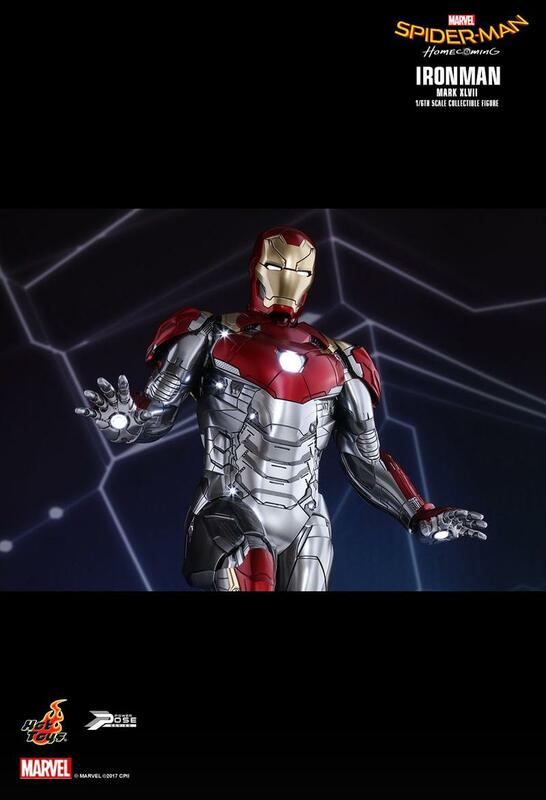 And in Spider-Man: Homecoming, the superhero will debut yet another redesign—Mark XLVII—though you don’t have to wait until the movie hits theaters to get a detailed look at what the suit looks like. 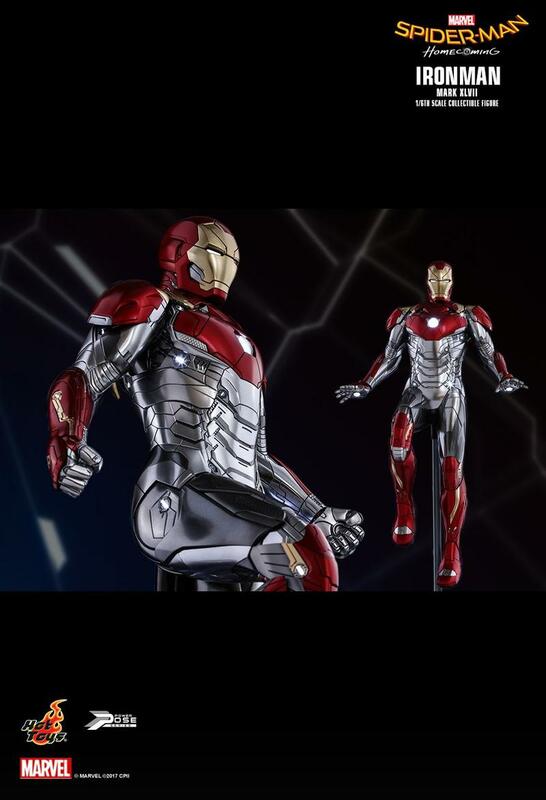 Thanks to Hot Toys, which is releasing a 12-inch figure to celebrate the movie’s release, we have a great look at what changes were made. 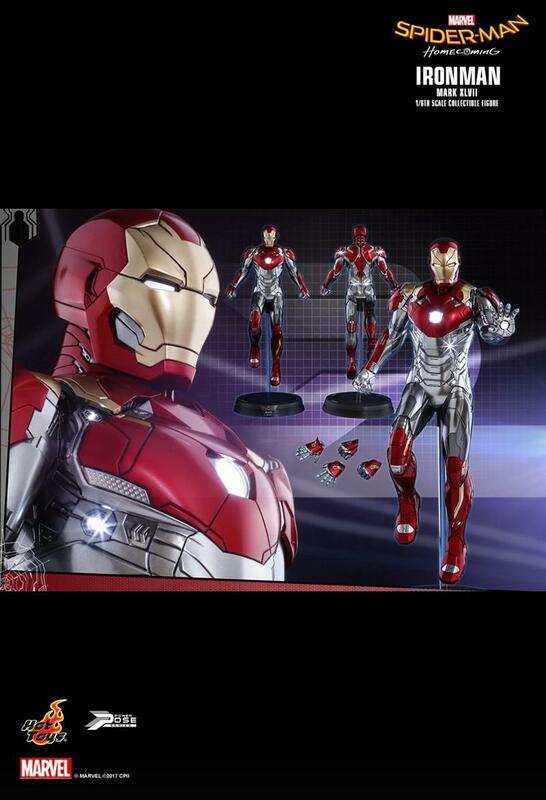 I hope you like silver. 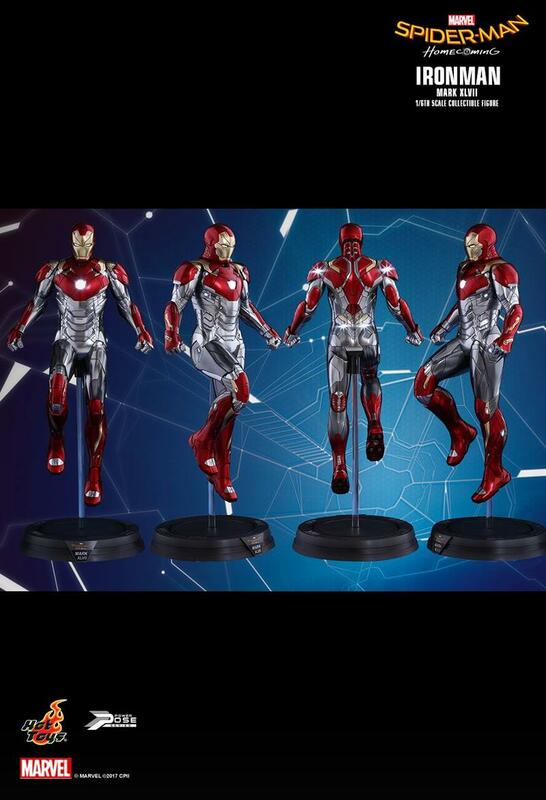 In reference to the appearance of Iron Man’s new armor in the upcoming Marvel Studios blockbuster, the Mark XLVII (Movie Promo Edition) Power Pose collectible figure is sophisticatedly crafted and designed with movie-accurate quality. 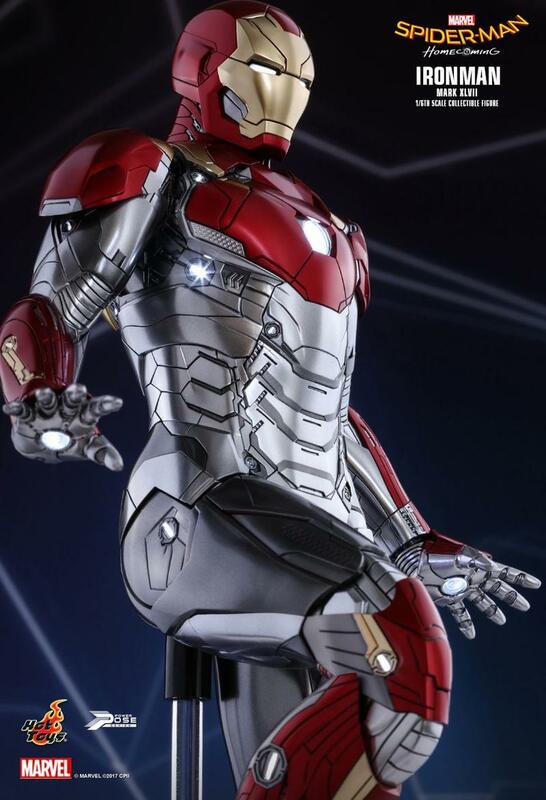 It features a meticulously sculpted sleek, streamline armor and trapezoid-shaped indent around the arc reactor. 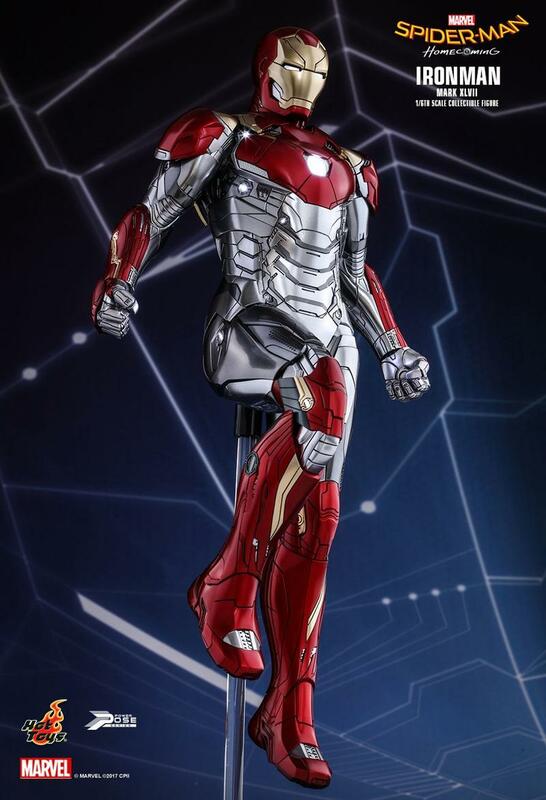 Equipped with 28 LED light-up points throughout the body, it is also given the iconic red and gold color featured mostly on the helmet and shoulder, as well as the distinctive silver and dark silver colored painting on the mid-section of the armor. 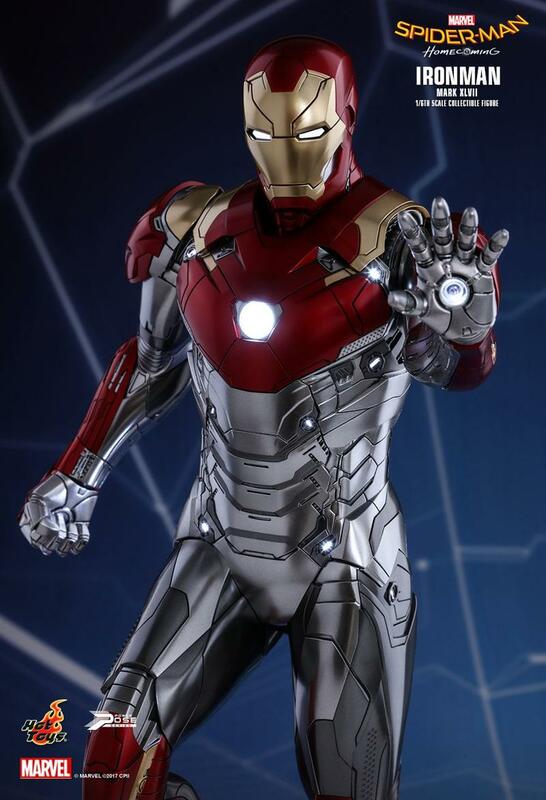 Earlier this year, we got another look at Iron Man’s new suit, which looks like it’s inspired by what he wore in the Ultimate comics. 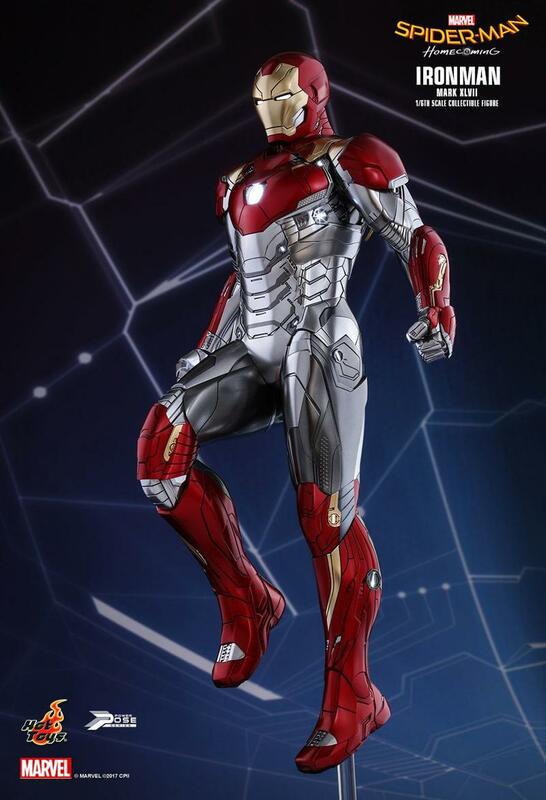 Save for the helmet, his new digs look pretty similar; it’s much more stripped down compared to what he wore in Captain America: Civil War. 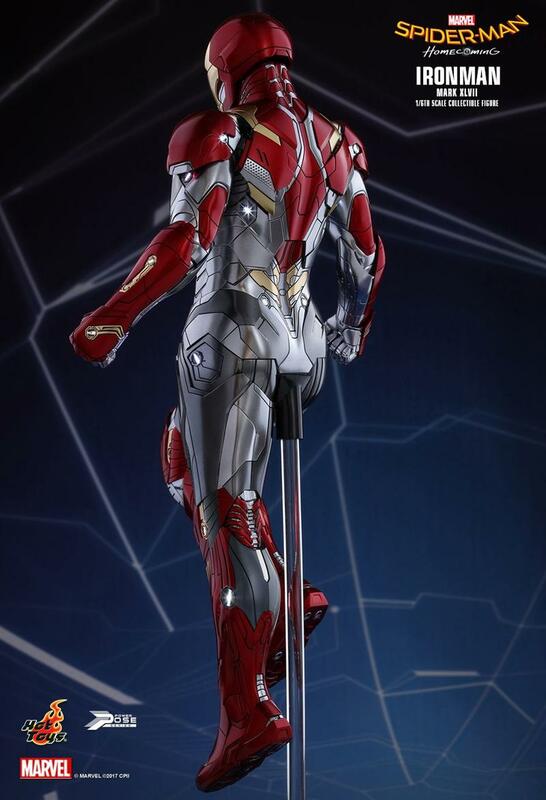 It’s unclear if his new suit will come with any new goodies, or if Spider-Man will be the one who has all the cool toys. 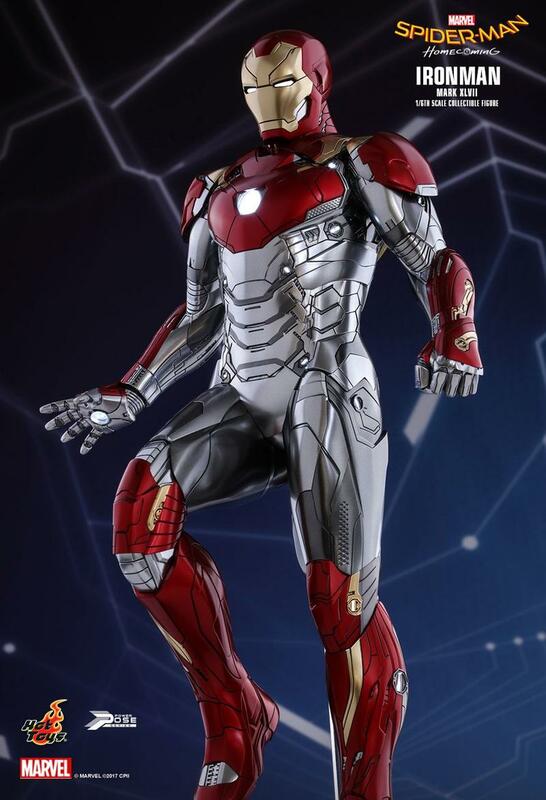 It’ll take some getting used to, especially since the red and gold color scheme is taking a backseat—although this isn’t the first armor to feature a more muted color scheme.